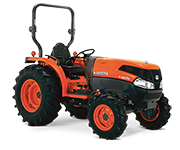 Designed to tackle a wide variety of tasks, the Kubota MX5100D features a powerful 50HP engine. Widely considered as the smoothest running 4-cylinder diesel engine in the industry, offering smooth transfer of power, low noise and quick start. Equipped with innovative features, the MX5100D is easy to attach and detach for increased operator productivity. 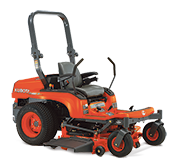 Powered by a reliable, heavy-duty Kubota 50HP engine. 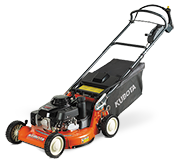 Kubota’s Synchro Shuttle Transmission offers smooth operability and powerful agility. 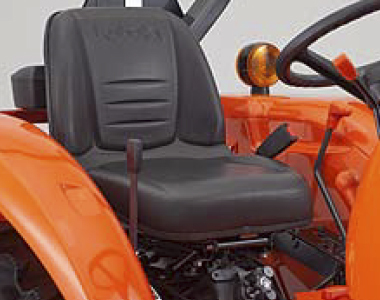 The hanging clutch and brake pedals deliver easy manoeuvrability when shifting. With 4 main shift speeds and 2 range-shift speeds (Hi/Lo), you have 8 forward and 8 reverse speeds to choose from giving you the versatility you need to maximise your productivity. 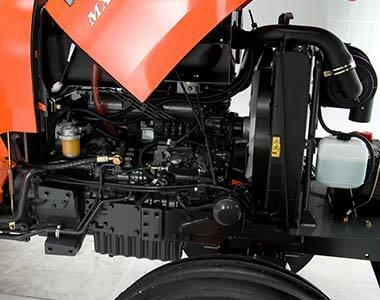 Kubota’s durable 3-point hitch is performance matched to operate seamlessly with the MX5100. Featuring telescopic lower link ends and stabilisers to allow easy attachment of a wide variety of Category I and II rear-mounted implements and enormous lift capacity. 4WD provides outstanding pulling power and traction in almost any working condition. Featuring a bevel gear front axle to deliver smooth and full-power transfer, plus greater all around manoeuvrability. Full-flat deck enables safe and easy mounting/dismounting and the 760 spacious millimeters between fenders gives you all the room you need to work in comfort. Make tight turns or take the straight path with the same smooth ease. 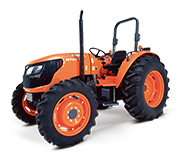 These tractors feature responsive power steering to enhance manoeuvrability and make steering worry free when a heavy load is applied or the front loader is used. 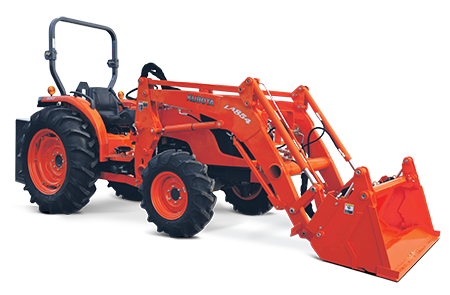 Kubota’s front loader is performance-matched to the MX5100, ensuring precise operation and improved productivity. The high lift capacity and lift height deliver impressive performance with each load, and the single lever joystick control makes operation easy. 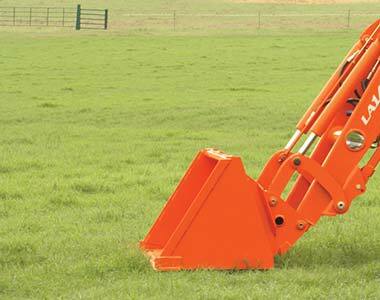 This standard feature allows the operator to raise or lower the loader boom while keeping the bucket level to the ground. This will help prevent spills when carrying soil or sand and will make pallet handling smooth and easy. To broaden the scope and capabilities of your front loader applications, the LA854AU-B is available with a third function valve to operate attachments such as a 4 in 1 bucket.